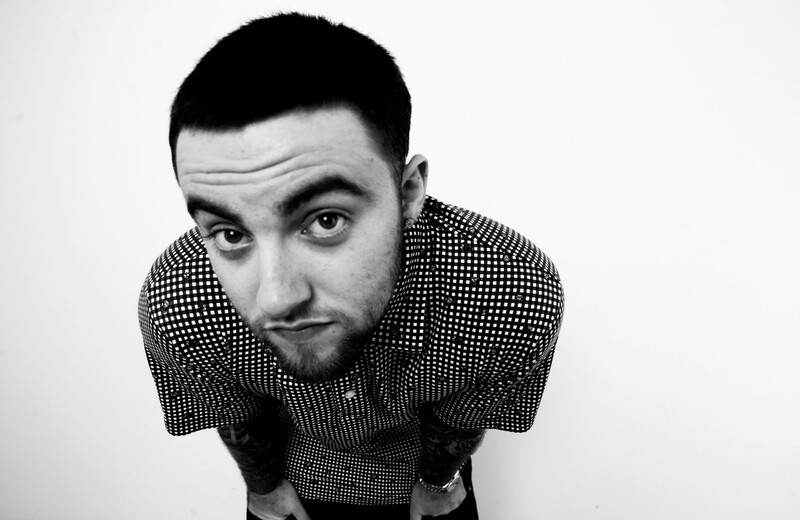 Rapper Mac Miller's upcoming Knitting Factory show is all sold out. It’s finally starting to feel like autumn in the Inland Northwest, meaning you’ll want to hang out at all the local music venues and let the music keep you warm! Here’s what you need to know about this weekend. Garageland’s bar area was just completed and opened for business last week. Now the renovated record shop/restaurant hosts La Resistance, a traveling art and music collaborative that puts on about four shows per year. Curated by LauraLee White, around 20 local artists’ work can be seen per show. Not only is the art show themed around music, but the First Friday event includes local singer-songwriters Carlton Oakes, Casey Rodgers, Xperomint and Madeline McNeill adding to the ambiance. The free event begins at 5 pm. Read about the other First Friday music/art events happening tonight here. Michael Benjamin Lerner from Seattle is Telekinesis. He tours with other members sometimes, but the indie pop sound is all his. The act plays the Bartlett tonight along with Say Hi, singer-songwriter Eric Elbogen’s moniker, also from Seattle. The all-ages show starts at 8 pm and is $15 at the door. In a thrilling convergence of musical genres, local metal act Age of Nefilim is recording a live album with the SFCC orchestra and choir Saturday at the SFCC music building auditorium. Tickets are $15 the day of, but SFCC students pay $7. Read our preview story on the band here. For their upcoming EP release show Saturday at the Big Sipper, the Backups aren’t backing up anyone. They’re headlining an event that includes good company: local rockers Pine League, transcendent singer Scott Ryan and the Hoot Hoots, Seattle-based but Spokane faves. The Backups’ new EP, Spaceman, is worth the celebration; it’s reflective of the sound they’ve worked three years to achieve. The four-piece made up of local guys ages 19 and 20 are as close as brothers, guitarist Connor Buckingham says. He describes their music as happy and upbeat; a 1960s vibe with an indie-rock twist. The title track is the record’s catchiest pop tune, reminiscent of late-’90s Top 40 in the best way. There’s even a reprise of the song at the record’s end. The show starts at 7 pm and is $15 the day of. Back in 2011, when rapper Mac Miller released "Donald Trump," the Pittsburgh native couldn't have known that his song's subject would one day become the frontrunner to be the Republican presidential nominee. The line "We gonna take over the world while these haters gettin' mad" couldn't be more appropriate for the Donald's line of thinking, as well as Miller's. Yet for his seemingly carefree attitude (especially regarding demeaning language about women), the 23-year-old certainly appreciates his mostly young fans. His Sept. 18 release GO:OD AM is automatically included with the ticket price of his sold-out Knitting Factory show Saturday. The set also includes GoldLink, Domo Genesis and Alexander Spit. Local metal act Dark White Light brings their tear-up-everything sound to the Baby Bar Sunday night. The band also released a brand new digital album last month (hear below). But the physical copy of the album should be here this month. Other local acts on Sunday’s bill include Itchy Kitty and Phjior. The show starts at 8 pm.